I’m currently a proud owner of an expired National Park annual pass (waiting for that next $20-30 entrance fee to entice me to grab another one). So with this being National Park week (April 16-24), I decided to take advantage of the free admission and a beautiful weekend to check off a couple park sites I hadn’t yet been to. We’d been putting off both “fort” sites in the Northern Oregon/Southern Washington-area since we moved here in September. 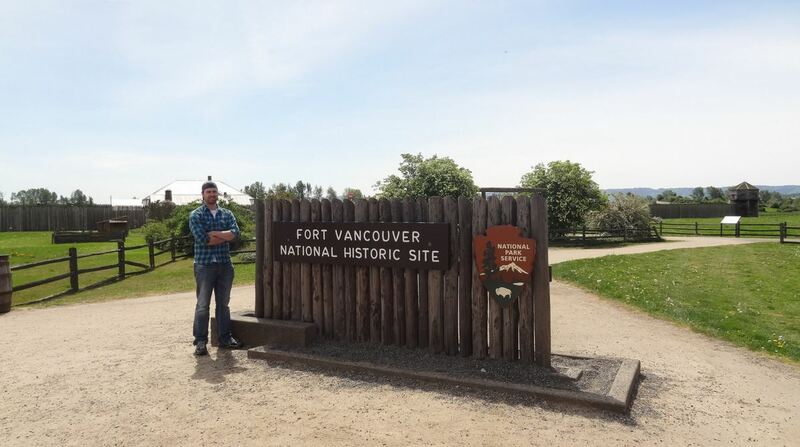 Those being Fort Vancouver (in Vancouver, WA – just north of Portland across the border and the closest National Park site to us in Eugene) and Fort Clatsop (the focal point of the greater Lewis & Clark National Historic Park) in Astoria, OR. Each charge a $5 fee per person, and since Breeah isn’t usually as big a fan of the historic parks as I am, it made sense to convince her to come check them out with me on this particular weekend. Fort Vancouver really surprised me with its large, beautiful green space, which seems to attract quite a lot of people out (especially when they can visit for free!). One of the rangers stationed at the fort commented that this was the largest turnout of the year so far (it also was one of the nicest weekend days we’ve seen out here since the calendar switched to Spring). The Fort is a replica of the once-largest trading post in all of the Pacific Northwest, owned by none other than the Hudson’s Bay Company. Even if you don’t care much for the history behind the place, it is a fun place to explore in its own right and the fort is quite large, complete with an garden and a nearby air museum that we didn’t have enough time to check out. 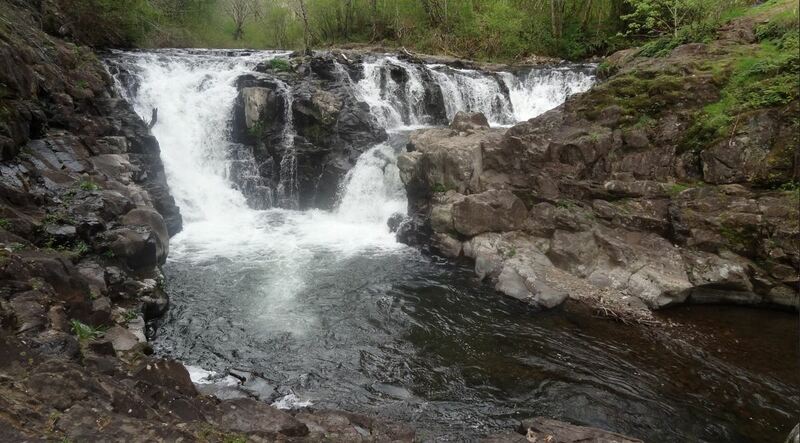 Its a great way to escape from the relative bustle of Portland. We spent the latter half of Saturday exploring a few waterfalls in the area just north of Vancouver (namely Moulton Falls Park and nearby Sunset Falls) before settling in Kelso for the night (Kelso is a great jumping off point for a Mount St Helens-themed day trip – something we’d like to do this year or next). The next day we took the scenic Washington State Route 4 (and linked it with 401) to get to Astoria, OR (crossing the 4.1-mile Astoria-Megler bridge). If your planning an outing in Astoria, I’d highly recommend taking the slightly longer Washington route as it is a far more interesting route than U.S. 30 in Oregon. 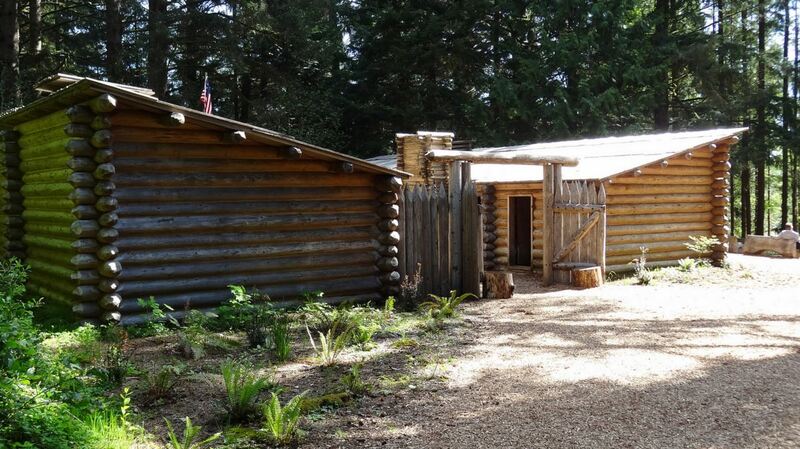 Fort Clatsop is the backbone of the Lewis & Clark National Historic Park and is also a reproduction. 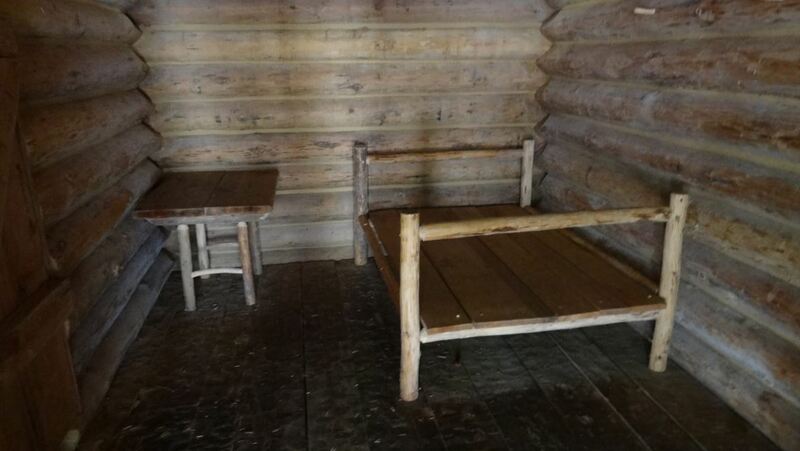 Its made to resemble the place that the two explorers spent the winter of 1805-06 on their epic journey before heading back to St. Louis. What was most fascinating to me was the almost jungle-like rainforest feeling of the surrounding woods, just minutes from the Warrenton shopping district. There is a nice little museum in the Visitor’s Center and, of course, the small fort to tour as well as a short hike down to the river’s edge. A longer hike to Sunset Beach is possible (an all-day activity at over 12 miles round-trip), but we instead drove out to the beach to also see the same coastline that the two explorers gazed upon over 200 years ago. The National Park service is offering free admission to each and every park throughout the rest of the week (including this weekend). There will be a few more free days this year as well – you can check the calendar out here on the NPS website. Two fine parks. I am going to re-up in July right before Rushmore, Devil’s Tower, Wind Cave, Chimney Rock, then a trip to Atlanta with a possible side trip to Chickamagua. I did a very similar Dakota/Wyoming/Nebraska run a couple years back (mere days after the infamous gov’t shutdown ended). The Wind Cave tour is a lot of fun – also Jewel Cave could be an easy, worthwhile pickup for you as well. Have fun! Just looked at your filled-in counties site. In Virginia, if you’ve driven 460 between Suffolk and Petersburg, then you’ve visited Surry county. Maybe you’re already aware of this. Cool site, and happy travels! Larry, thanks for looking out! I was obsessive about making sure I had all of my Virginia travels correct a few months ago but likely just missed this little corner of Surrey that touches 460. I’m 99.9% sure that’s a route I drove after looking at the map. Thanks for the compliments! This brings back memories for me. I lived in Astoria for a short time after college. 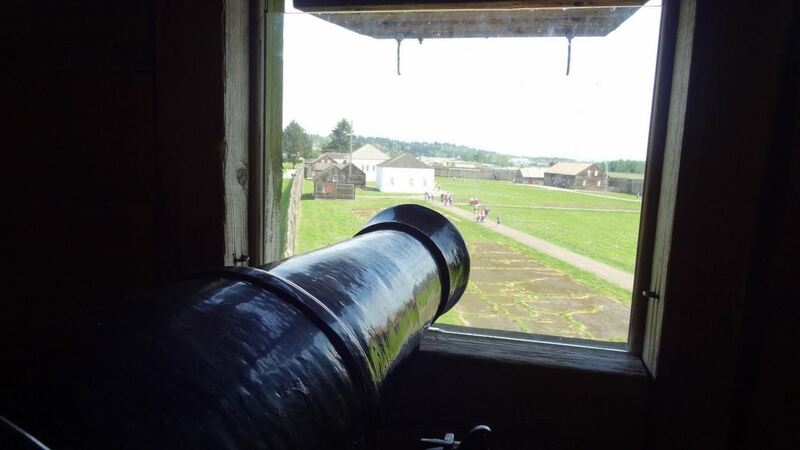 I always enjoyed poking around the area at Fort Clatsop, and Fort Stevens State Park where the Columbia meets the ocean. I used to take the dog down to run on the beach there once or twice a week.